Do Selfies Really Spread Head Lice? A California lice removal professional recently told SFist.com that she’s seen a large increase in lice infestations among teenagers in the past year. The cause, according to her: Selfies. And the Internet freaked out. But should you really swear off selfie-taking for the sake of your scalp? A California lice removal professional recently told SFist.com that she’s seen a large increase in lice infestations among teenagers in the past year. The cause, according to her? Selfies. “Teens are sticking their heads together every day to take cell phone pics,” said Marcy McQuillan, who works at head lice-removal company Nitless Noggins. Since she made the claim, the Internet has been abuzz about the potential link between snapping friendly photos and contracting head lice. But should you really swear off selfie-taking for the sake of your scalp? If you're an adult, probably not. First, a primer on how lice are spread: Head-to-head contact is the primary way the head louse gets around, according to the Centers for Disease Control and Prevention. (Contrary to popular belief, transmission by sharing hats, combs, pillowcases, and other things that touch your hair is rare.) Since louse’s claws are specialized to grip hair strands, they can easily crawl from one person’s hair to the other’s if the strands are touching. But here’s the good news: “It’s highly unlikely that selfies actually pose your hair much risk,” says Ariel Ostad, MD, clinical assistant professor of dermatology at New York University Medical Center. After all, your grownup friends probably aren’t walking around with a head full of lice in the first place. Why? 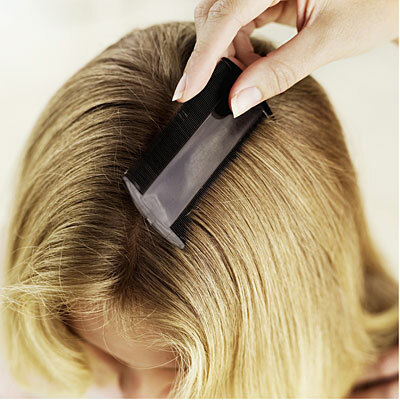 Adults are very rarely diagnosed with lice. Most cases occur in children between the ages of 3 and 11, Ostad says. What’s more, unlike kids and teens who can go days or weeks without discovering an infestation, adults tend to be pretty hygienically aware. If an adult’s head itches, they’re probably addressing the issue pronto, says Elizabeth Cunnane Phillips, a trichologist (hair and scalp specialist) at the Philip Kingsley Clinic in New York City. She says that selfies only potentially pose a problem if your friends are out and about but keeping their hair hitchhikers a secret. But if you’re seriously concerned about finding some white things on your scalp that don’t really look like dandruff, see your dermatologist to pinpoint the problem and fix it ASAP.… and maybe don’t squeeze quite so close to your friends during your next group pic. Just for your mental health.